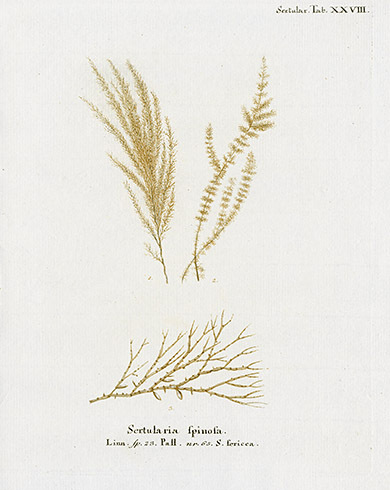 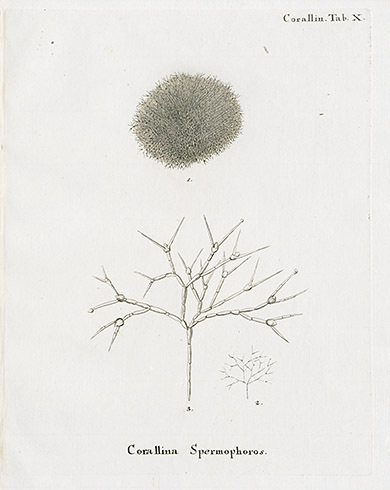 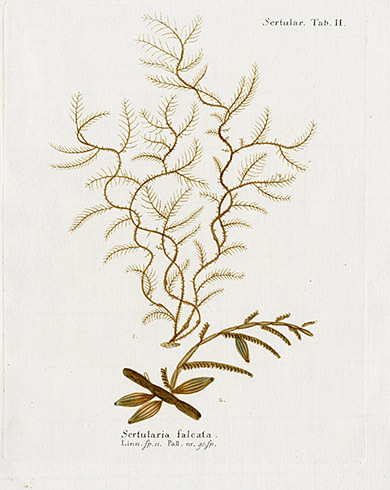 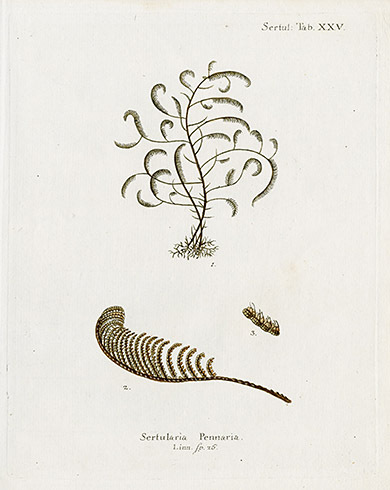 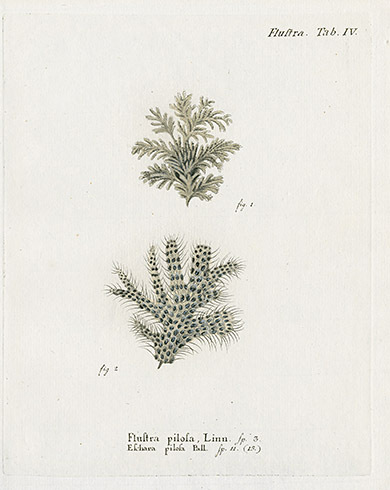 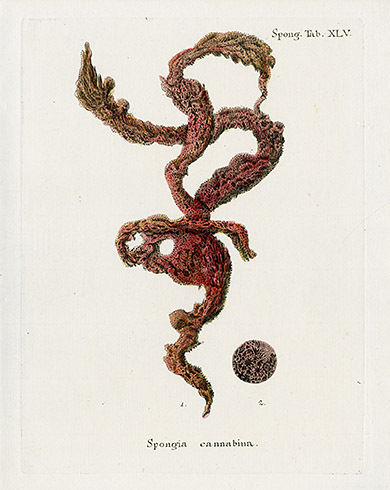 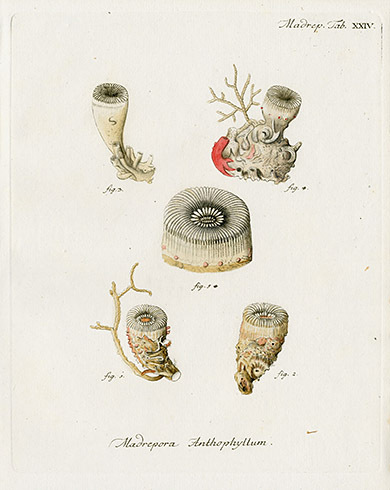 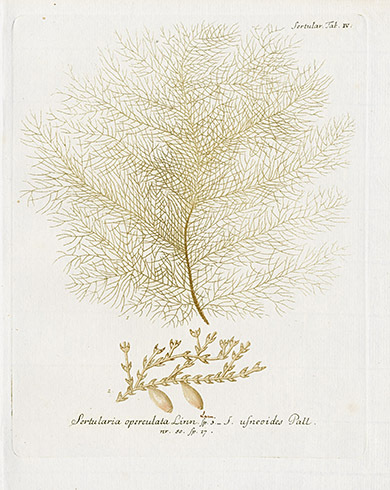 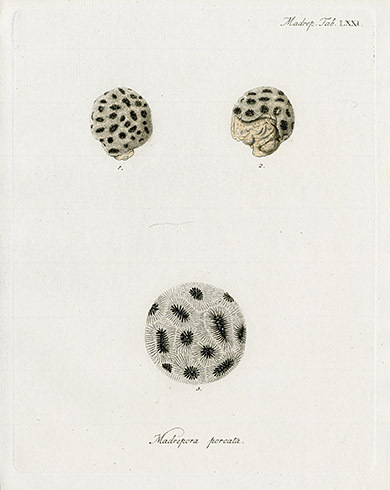 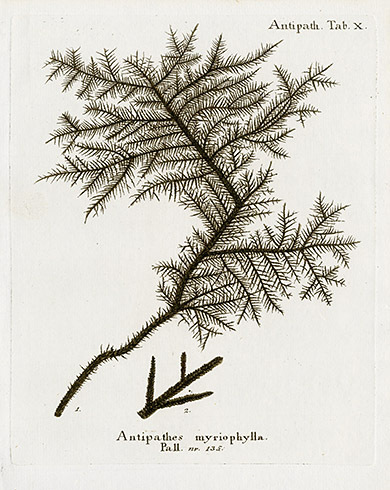 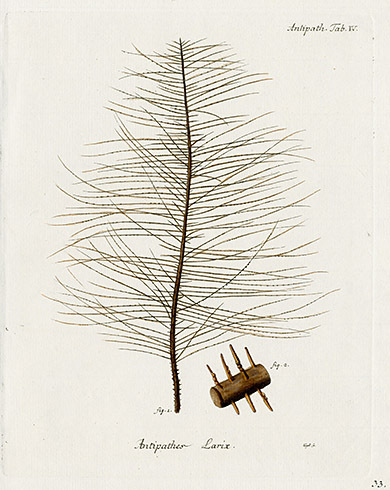 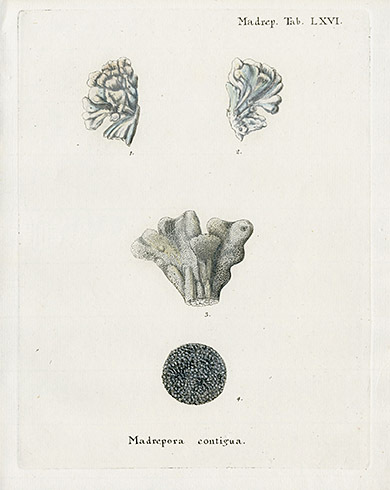 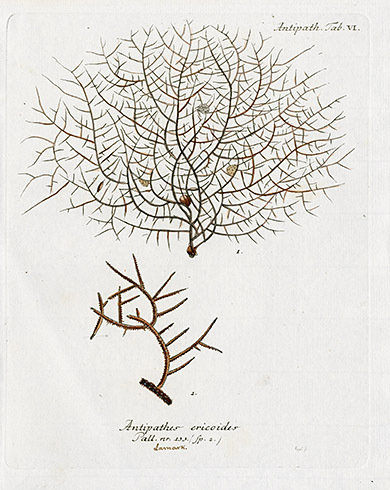 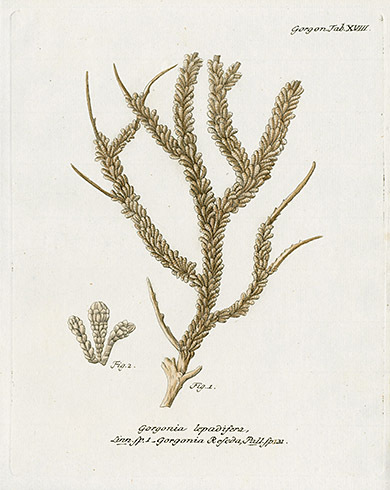 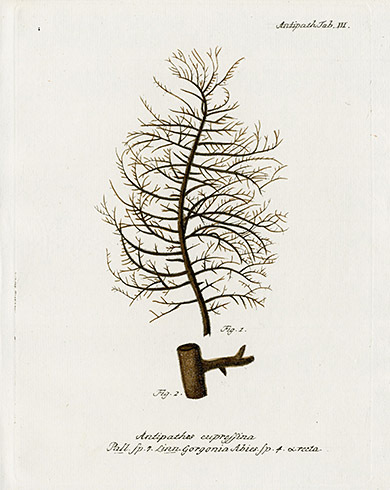 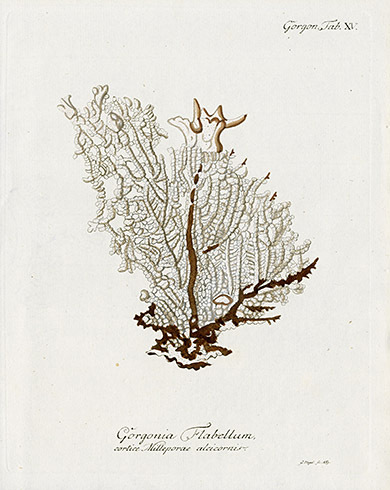 We are enchanted with these beautiful originally hand-colored coral prints from one of the earliest works on corals, Die Pflanzenthiere in Ubbildungen nach der Natur by Eugenius Johann Christoph Esper, published in Nuremberg 1791. 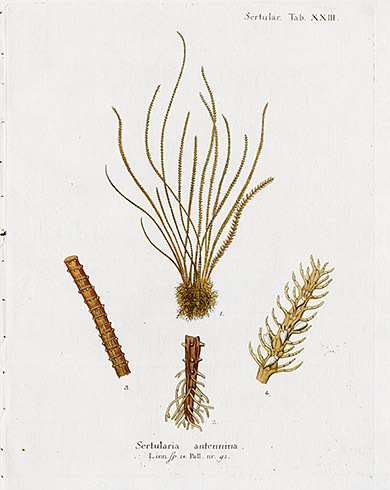 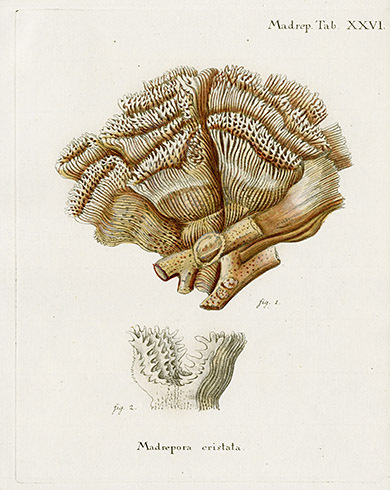 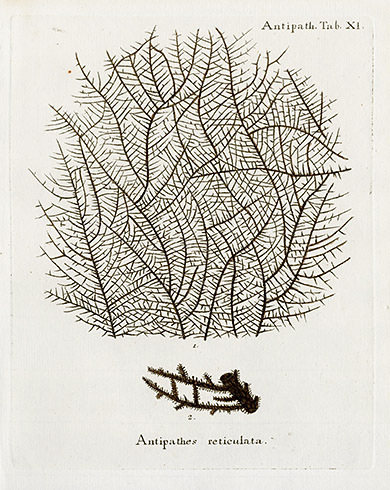 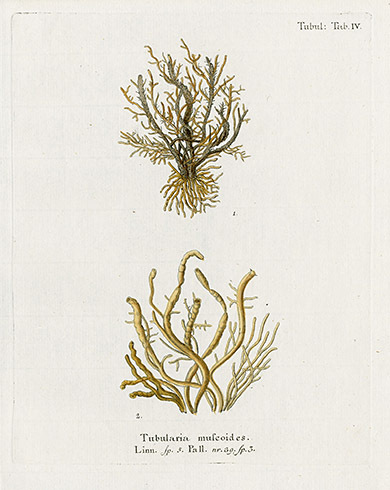 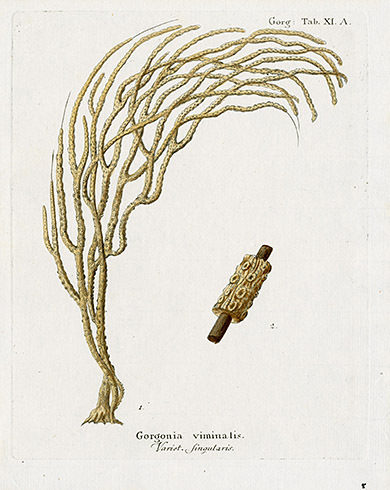 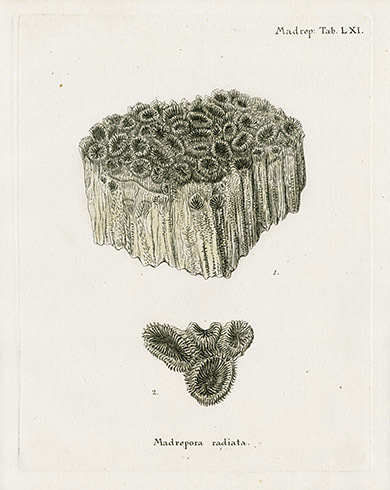 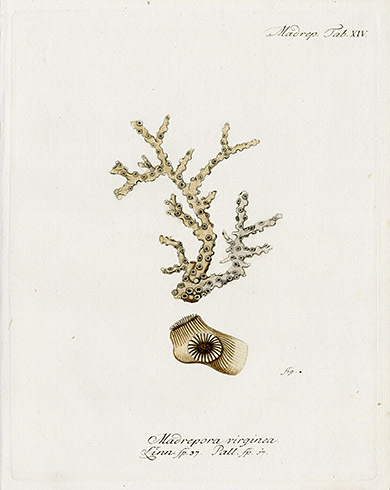 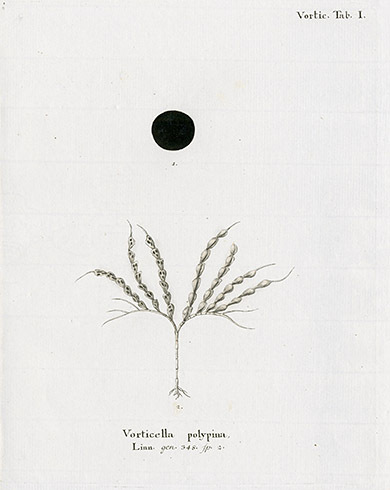 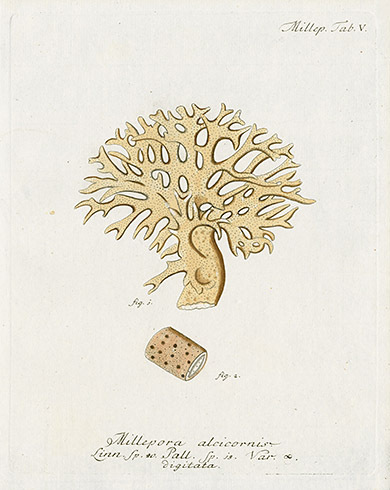 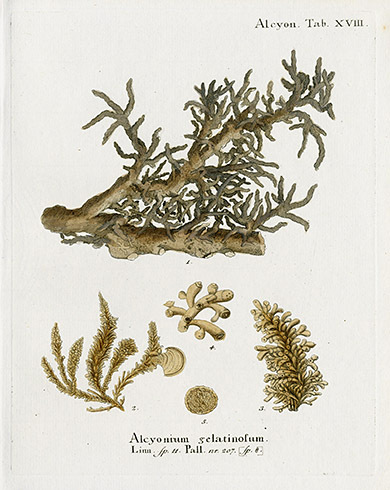 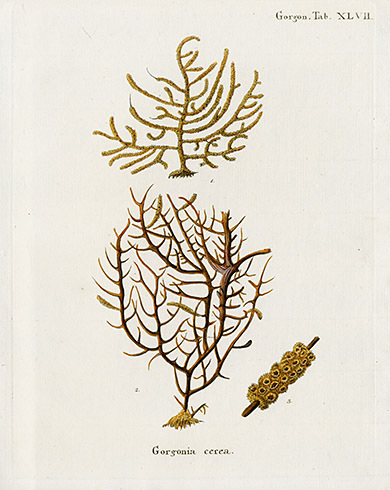 It is one of the rarest of all the coral works in the world, with only a few known copies in the hands of libraries. 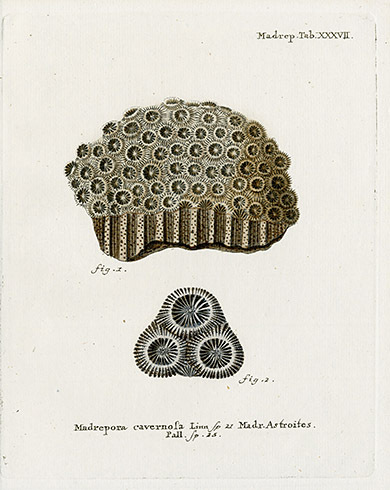 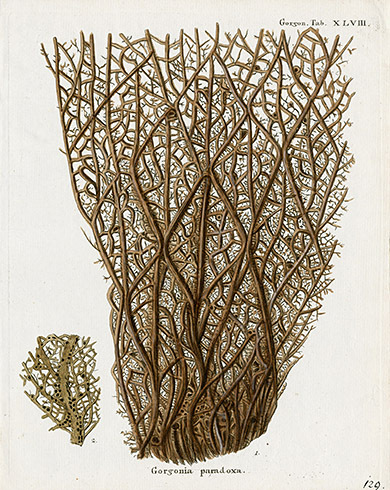 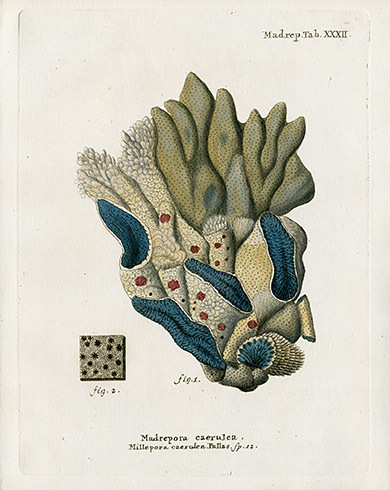 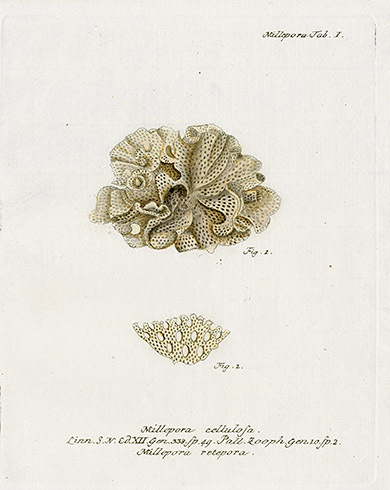 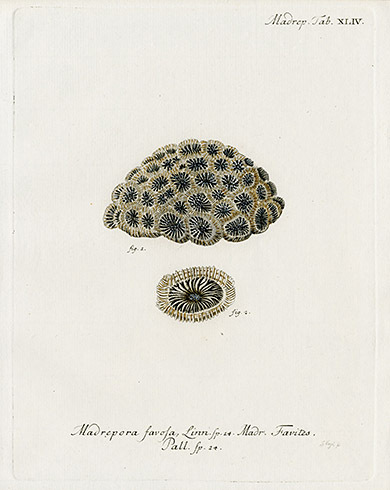 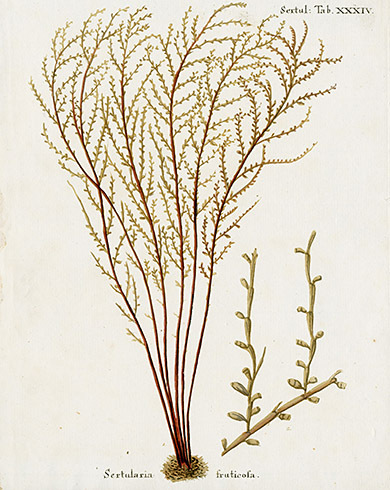 There is no other coral work of such completeness with original hand coloring from the 1700s. 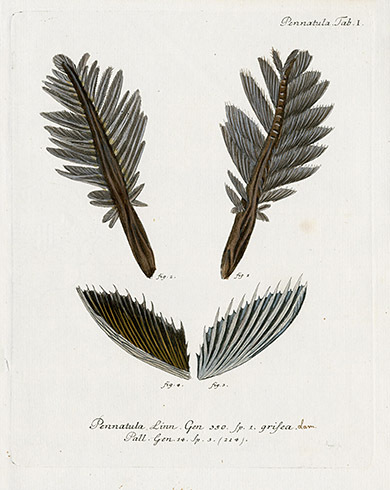 This represents an extraordinary opportunity for the collector of such rarities. 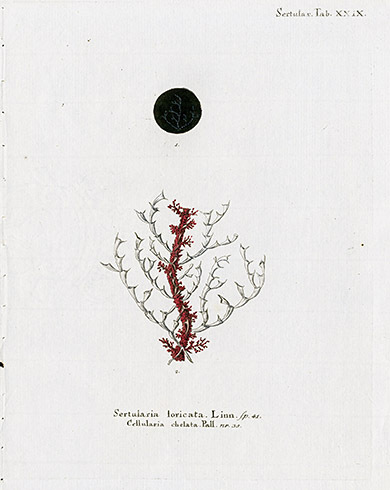 Each print is on fine, creamy, hand made chain lined paper measuring approximately 8 inches by 10 inches. 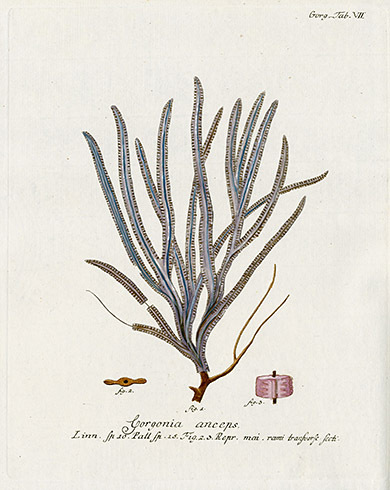 On some, there is additional information in an old hand below the title. 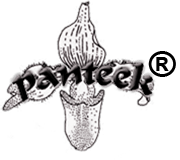 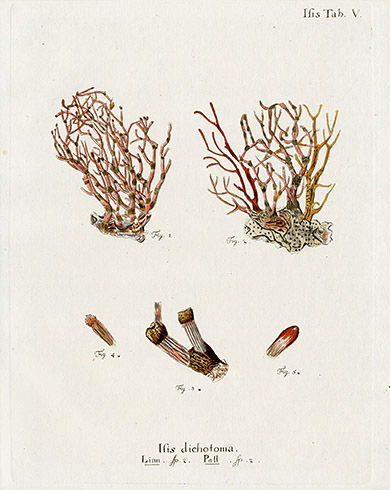 There is no descriptive text, but a copy of the title page will accompany these authentic antique prints with original hand coloring. 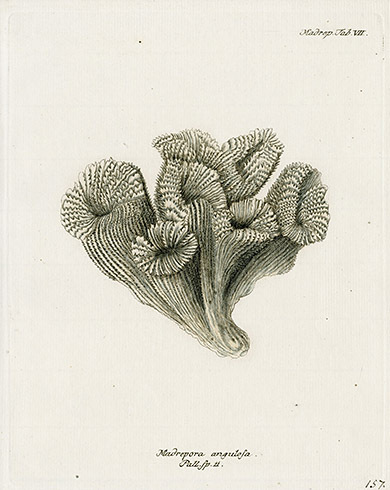 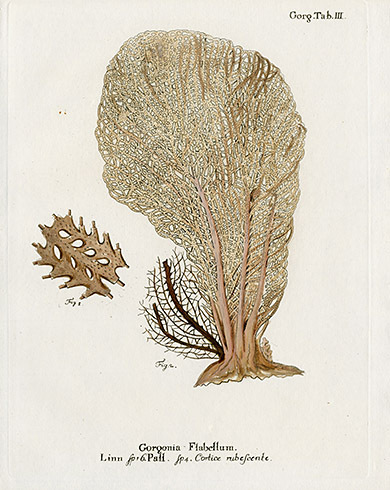 Each print is a dynamic portrayal of a species of coral, realistically capturing the plant as it would be in the ocean, with the vibrant original hand coloring enhancing the effect.